There is no end of tragedy in this life. 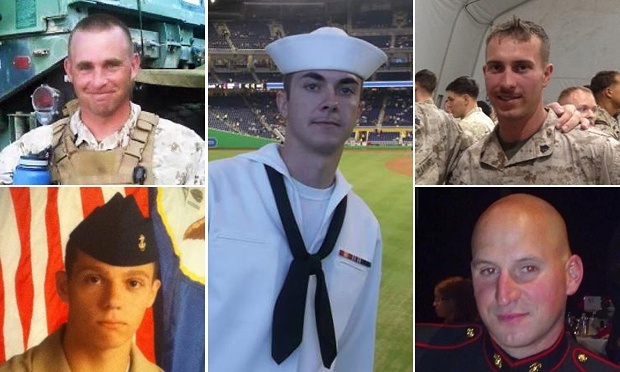 This past week, four unarmed marines and one navy sailor were violently murdered when a cowardly muslim jihadist opened fire on a recruiting center. A flood of emotions rushed through me when I heard the news. Anger. Frustration. Sadness. Indignation. Disgust. Powerlessness. What can we do for the fallen? 1) We can honor their memory. 2) We can pray for their families. I previously published a post on praying for the families of the fallen, and while this post may seem redundant, I’d like to make this particular Effective Prayer post tailored for the people affected by this tragic event. 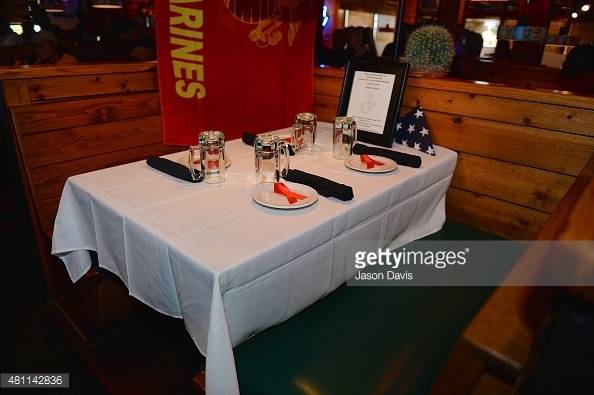 For more information on the marines, read here. For more information on Randall Smith, read here. by Jason Davis. Getty Images. These families are suffering from a grief that cannot be spoken. My guess is that they were extremely grateful to have their loved ones away from the front line, not knowing that the front line would be brought to them while they were unarmed and unprotected in any way. Pray for their families to be comforted by the Lord. Sergeant Dennis Pedigo of the Chatanooga Police Department was shot in the ankle and underwent surgery. Pray for his healing both from the injury and from the trauma of the event. Pray for all of our soldiers. Pray for their protection. We are a nation at war. It may be a strange, unconventional war, but we are at war nonetheless and the enemy does not observe any sort of code other than the code of killing and terror. Let us join together in prayer for these men and women impacted by the cowardly act of a group of terrorists. The man who pulled the trigger is, even now, facing his Maker and the consequence of His choice. Remember that the Lord is a God of justice, and He will see that retribution is made. Next Post The Cure is Worse than the Disease! What do I do now?!?! Amen! I would add to that the families of the martyrs in the Middle East, Africa, Indonesia, and more and more around the world killed for proclaiming CHRIST as their LORD and SAVIOR. Pray also for the wisdom to know HIM better, and to be worthy to join those under the ‘altar ‘ who considered that HE was more important than life in this present temporary world.